Services | Kadan Consultants, Inc.
With nearly a decade of successful 3D scanning projects, Kadan can scan anything from tiny components to vehicles and even entire buildings. We have completed projects around the globe. True CAD models for FEA testing of actual geometry to correct problems before parts go into production. CAD models to validate tooling, even when no current models exist. Profile data of the whole part so assemblies can be digitally put together, revealing inaccuracies and interferences. 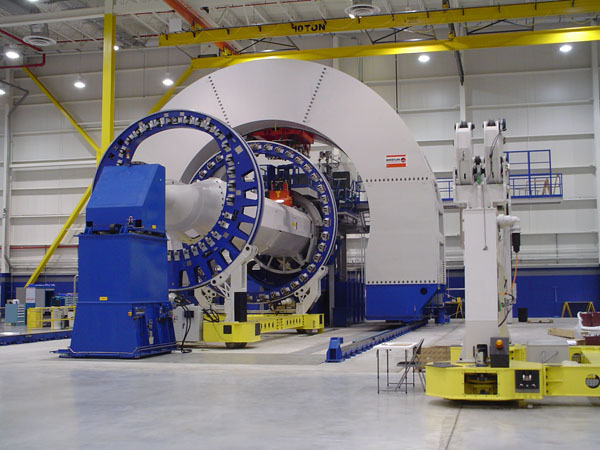 The ability to combine the laser tracker in measurement technology with our experience in turbine alignment is the basis of our excellent accuracy and outcomes. The implementation of our processes will expedite the overall inspection time/alignment process. The correct use of Laser Trackers eliminates human error in measurement data and reduces the impact of thermal movement on the alignment process. In favorable environmental conditions, our technicians are capable of repeating inspections and individual measurements at a precision of up to five-thousandths of an inch or 0.0005″. What this means for you, is best-in-class accuracy, precision, quality, efficiency, and the peace of mind that comes with knowing that the inspection is void of measurement variables. All previous alignment methods, including bore scope alignment, only provide data of the center point locations. Our innovative process completely eliminates the “optical bore alignment method”. The inspection process is designed to provide you with superior measurement data, including the bore center location, concentricity, radial distances, and axial distances. With the laser tracker, you gain assurance of a more thorough inspection and an abundance of measurement data. Our technicians deliver the measurement data (spreadsheets and graphs) while on-site. Our reports provide raw measurements and are easy to understand. The more efficient we are in being able to present the reports to you, the better you are able to understand the situation. With this clear understanding of all relevant data, you now have the knowledge you need to make a well-informed decision. There are a multitude of devices used to ensure that the aircraft, spacecraft or satellites being built are accurate, true and square. These come in many forms and can be complicated trussed assemblies that are as much of a project as the finished assembly or craft it is used to manufacture. The fact of the matter is that if you build an accurate fixture or jig then you will get better parts and better parts equal better assemblies and better assemblies build better Aircraft, Spacecraft, and Automobiles or any thing that gets put together. Kadan was founded by a Jig & Fixture builder with a machining background; he surrounded himself with some of the best tool makers that he worked with over a 30 year career in the aircraft industries. We get the best possible results because we control our environment. The Kadan facility is set-up to facilitate the accurate production & assembly of very close tolerance Jigs & fixtures. Our manufacturing facility is a temperature-controlled with no large machines or loud noises that vibrate and move things around. We can travel to you to do the final assembly at your facility, or at your customer’s facility, whichever you prefer. It is pretty straight forward, if you want your tool to be the best it can be – you hire the best people, using the best equipment! Advanced Technologies™ Laser Trackers are the fastest and most accurate. In our temperature-controlled facility we can offer the best possible results. We have seven 8′ x 4′ surface tables that can be rigged to hold odd-shaped or large parts. In the past six years we have traveled all over the world: USA, Asia, Africa, Central and South America and Europe. Kadan is proud to be using the latest version of Verisurf™ measurement software. With Verisurf we can provide state of the art reverse engineering for all your manufacturing needs. Kadan Inc. Also supplies on-site or off-site inspection services. We utilize the latest in Laser inspection equipment and techniques to provide our customers with the most accurate data possible. Since no one has yet developed a Hyper sonic wind tunnel that can simulate the speeds that Hyper X is expected to go, that is 10 times the speed of sound, the alignment of the control surfaces had to be very precise because at 7,000 miles per hour the slightest misalignment could cause the rocket to lose control and crash (which happened on the first Hyper-X). With the use of our laser tracker, alignment was held to just a few thousands of an inch. Kadan aligned the control surfaces on the second & third Hyper-Xs. 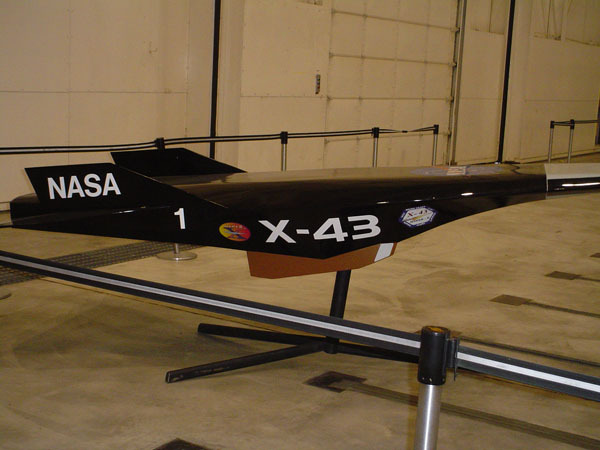 NASA flew a third version of the X-43A on November 16, 2004, achieving/maintaining a speed of Mach 9.68 at about 34,000 meters (110,000 ft) altitude. The year end rush of 2008 found Odyssey Tooling of Lake Orion, Michigan in a tough spot. They had the contracts and the facility, but they were coming up short on skilled jig & fixture builders & Laser Trackers. After exhausting all the local support companies, they called in Kadan Consultants for additional tooling support. We spent 90 days on-site 7 days a week, 24 hours a day. 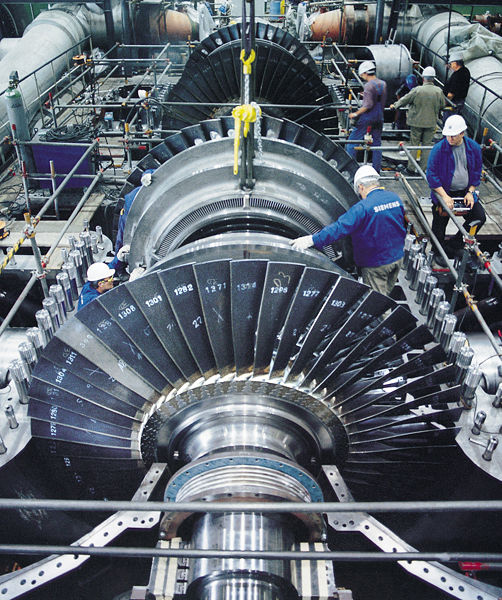 When rebuilding steam turbines, it is common to replace older components and use existing assemblies. This presents the challenge of matching new components to the existing assemblies which have likely been in place for many years and exhibits quite a bit of wear. The accuracy of our Laser Tracker measurement equipment is just stunning. This data can be used to map inlet locations on the outer cylinders. This information can then be used to check deviations from the original print or CAD Models and ultimately check any interference with the new inner cylinders prior to installation. This information can also be used to determine how much cutting or machining is necessary to match the existing outer cylinder to the inner cylinder. Following any modifications, the Laser Tracker system can verify and document the changes to allow for accurate record keeping of the changes made. Kadan brings a level of precision and accuracy to the Milling industry, that has been virtually nonexistent in previous years. Utilizing laser tracking and scanning technologies to deliver state of the art accuracy and speed to our clients. This technology allows our clients to make well informed decisions in a timely manner. The laser tracking technology Kadan uses has a high level of accuracy over a large distance. This allows for large machine alignment as well as other over sized components throughout the mill. Kadan gets in and out, minimizing downtime for our clients is one of our highest priorities, in turn, allowing customers to get up and running in the shortest amount of time possible. Kadan services a wide assortment of mills such as: steel, roofing, paper, and all other types of mills. CMM Arms, Laser Trackers, Laser Tracker tooling, Laser Tracker Stands (tall/short), movable mounting pucks (1/2”& 1 ½ “). Kadan Consultants offer portable measurement device rentals for all your 3D Measurement needs, Laser Scanners, Laser Trackers and portable CMM Arms. We offer competitive rates for any length of time and the fastest possible delivery. Perform 3D measurements with a high degree of precision and speed by using an ultra-precise laser beam to measure objects (up to 72 meter range) and an accuracy of 17 microns over a distance of 20’. Our laser trackers are able to capture and interpret 3D shapes with respect to any chosen coordinate system, and are extremely portable. Kadan Rental Services offers daily, weekly, monthly or annual rentals for our portable devices. We can also provide full services. Provide a precision of +/-.0005” through +/-.002”, offering a higher accuracy than other portable measurement tools. Its ease of use and reliability has made it the most widely used portable CMM in the world today. You will have the confidence of knowing your fixtures and parts are within tolerance. An efficient, flexible measuring tool that allows inspection to take place anywhere, providing the user with increased mobility. It is able to measure parts and search for flaws, according to set specifications from a 3D CAD model or 2D print. Kadan Consultants’ source inspection services allow you to reach your suppliers when your company needs additional skills or people. These services are performed all around the world to customers in virtually any manufacturing setting. Contract Source Inspection is provided for a wide range of industries with a depth of knowledge to back-up each assignment. Our technicians are experienced in multiple disciplines. Our skills were acquired over decades in Precision Machining, Aerospace Tooling, Metal Stamping, CAD drafting and a variety of other disciplines that provide a depth of understanding of what the customer expects from a supplier. Our experience with complex documentation runs deep. We understand the documentation support needs of the Defense, Medical, and Aerospace industries. Customers have come to rely on Kadan’s third-party inspection as a key resource in Measurement System Development (MSD) when processes are beginning to be established. We can also provide Measurement System Analysis (MSA) support and comparative studies. Kadan’s Source Inspectors can provide oversight, hands-on verification, and general process assessment, as your needs require.